Unlike most colleges, every room has its own bathroom. The sense of community you’ll get from lounges used for study spaces, floor activities, and bible studies; late-night hangouts; and support from residence life staff. Proximity to class, the library, campus activities and groups, and faculty and staff. Ability to take in on-campus sporting and theater events, worship opportunities, or any of the hundreds student activities, all right outside your door without any commute. The opportunity to live in a diverse community and understand yourself and others better. You’re going to love campus housing. Forget sharing a bathroom with everyone on your floor. Instead, every room is set up suite-style, including separate bedrooms, walk-in closets, and a bathroom shared with roommates only. It’s sure to feel like home. 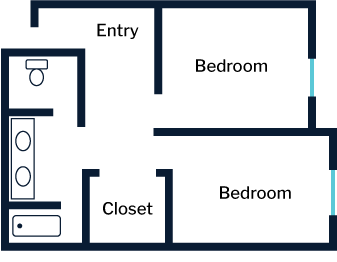 West Hall offers housing on four different floors (two female, two male) for a combination of First Time Freshmen, Incoming Transfers, and Returning Students. 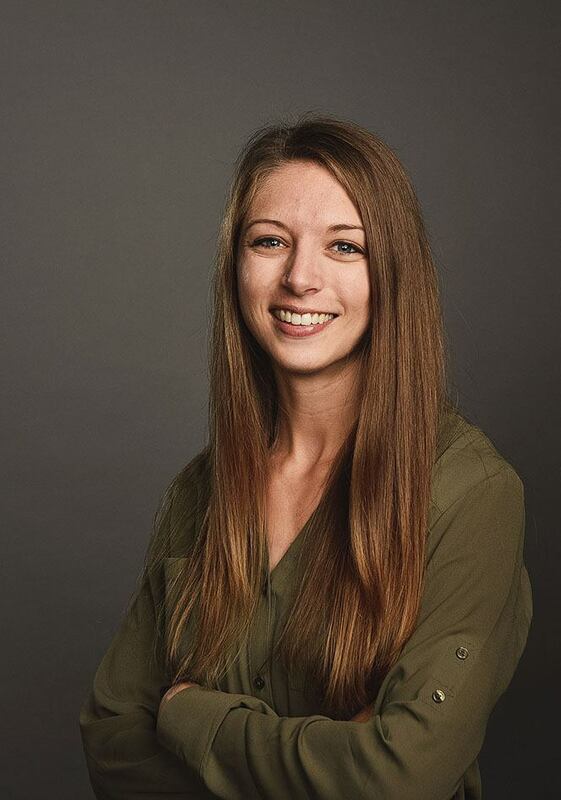 This mixed approach to housing gives new and returning students the opportunity to develop friendships and connections with each other. Alumni Hall, Trinity’s largest residence hall, is a three-story building with one male and two female floors. 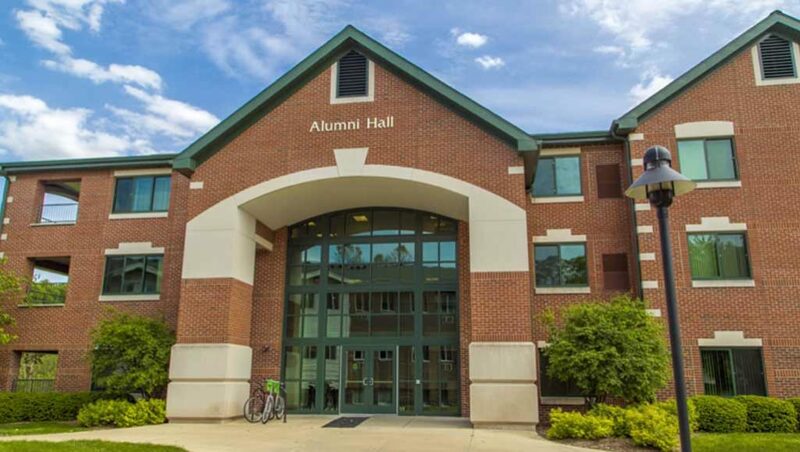 Typically, sophomores and juniors live in Alumni Hall. 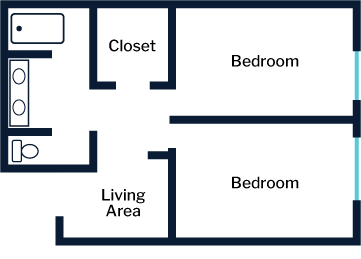 Each suite consists of a small living room, two bedrooms, a walk-in closet, and a bathroom. Living rooms are furnished with a couch, lounge chair, and coffee table. Personal thermostat for heating and air conditioning. South Hall primarily houses first-time freshmen on several different floors. Each floor contains a recently-renovated floor lounge with lots of comfortable, cushioned seating, and there are two larger public lounges on the main floor and basement where students can gather for social events. 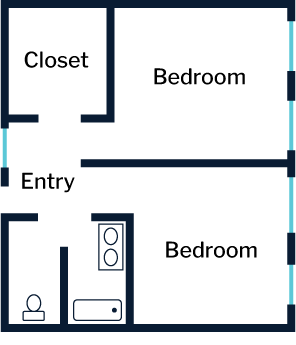 Each suite in South Hall contains two bedrooms, a large walk-in closet, and bathroom. The floors in South Hall are different sizes, so a resident may have anywhere from 15-34 neighbors on his/her floor. Tibstra Hall offers apartment-style housing for upper class students on three different floors. 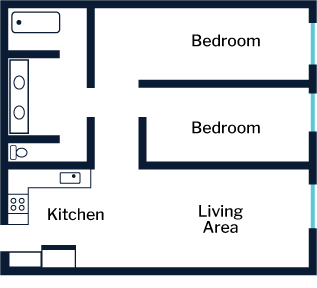 Each apartment consists of a full kitchen (microwave, refrigerator, oven/stove included), living room, two bedrooms, and a bathroom. In addition to the standard bedroom furniture, Tibstra apartments are furnished with a couch, two lounge chairs, an ottoman, entertainment center, dining table, and dining chairs. A desk and chair, a dresser, closet space, and a bookcase. Card operated laundry machines in each residence hall. Cards can be purchased and refilled using machines within in each building. Students should plan travel arrangements according to College vacation and residence hall closing schedules. Questions should be addressed to the appropriate Area Director. With the exception of one designated outdoor area, smoking (including e-cigarettes and hookah) or other tobacco products are not permitted on campus, in any buildings, or on adjacent residential streets. The residence life program is developed and managed by professional administrative educators called Area Directors. Area Directors reside in an apartment in the residence halls and are responsible for all residence life staffing and programs. Assistant Area Directors are experienced student leaders that serve the residence life program alongside the professional staff.